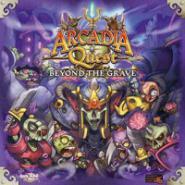 In this campaign expansion for Arcadia Quest, players pit their Guilds against the Dread Kingâ€™s undead horde and Dr. Spiderâ€™s freaky sidekicks. Progressing through an all-new branching campaign, the Heroes will earn new weapons, equipment, abilities, and magic spells unearthed straight from the afterlife! 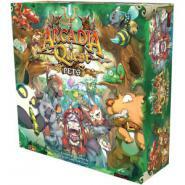 Arcadia Quest: Pets is not only a campaign expansion, bringing a whole new campaign, with new scenarios, monsters, heroes, rewards, and titles, for use with either the original Arcadia Quest or the Arcadia Quest: Inferno core boxes, but it is also a modular expansion that introduces Pets, a brand new system that can be added to ANY Arcadia Quest experience.